I hope you enjoyed a relaxing spring break with friends and family. Take a look at the following important upcoming school events and be sure to mark your calendars! Please Join us for the 37th Annual Bolinas-Stinson Track and Field Day! I hope you are able to join us this Friday, April 19th, for our 37 annual Track and Field day. This exciting school event will begin at 9:30 AM. Please use the Bolinas-Stinson Track and Field Day link to see the flyer that was sent home and for more information about the day’s events and how to volunteer. I look forward to seeing you here! Mark you calendar for our next Parent Coffee Chat on Tuesday, April 23 in the Bolinas Campus Library from 9:30 -10:30 AM. Come on by, grab a quick bite and a cup of coffee or tea! We will be discussing next year’s classroom configurations and teacher placements among other topics. These informal parent meetings help foster open communication and build a strong school community. All are welcome and encouraged to attend. I hope to see you there! As part of our effort to become a Zero Waste school, our teachers and students are working together to find better ways to dispose of our waste rather than committing it to landfill. Rachael Dressler and our fourth graders have spearheaded the effort to gather our Bolinas Campus food scraps and give them to the Murch’s chickens. 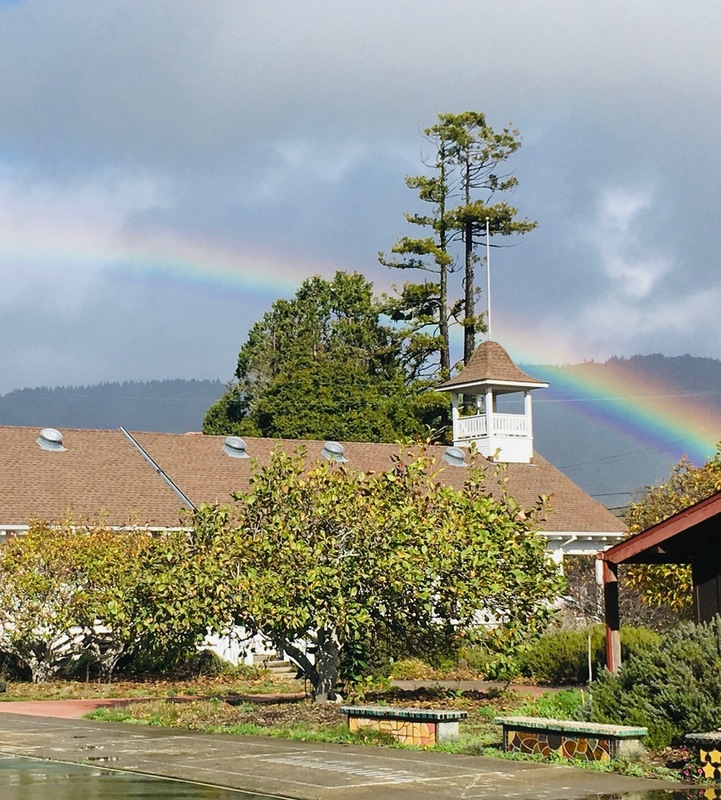 Willow Regnery and her fifth/sixth grade class will be overseeing our Bolinas Campus recycling program and Rebecca Braun and her second/third grade class will be coordinating and organizing the Bolinas Campus worm bin. Rachael and her class will be kicking off this exciting project on Thursday, April 18th at our All School Assembly at 2:30 PM - Come join the fun! If you are interested in helping with this school wide effort, we are looking for anyone who is willing to take the Stinson Campus food scraps or help with our Stinson Campus recycling program. Please email me if you are interested. Students in grades 3-8th will be taking the California Assessment of Student Performance and Progress (CAASPP). Our testing window opens the week of May 6 and runs until May 24th, 2019. The California Assessment of Student Performance and Progress (CAASPP) is designed to give information to teachers, students, and their families about what students know and are able to do and whether they are on track to be ready for success in college or a career when they graduate from high school. (CAASPP Resources for Parents Flyer). In support of our 3rd-8th grade students demonstrating Preparation, Perseverance, and Pride in themselves and our school, we will be bringing back the CAASPPancake Breakfast to kick off our first day of testing! Room parents will be sending out more information regarding how you can help, by providing classroom snacks and support. If you would like more information on the upcoming testing and how you can support your child, please use the Parent Resources link.